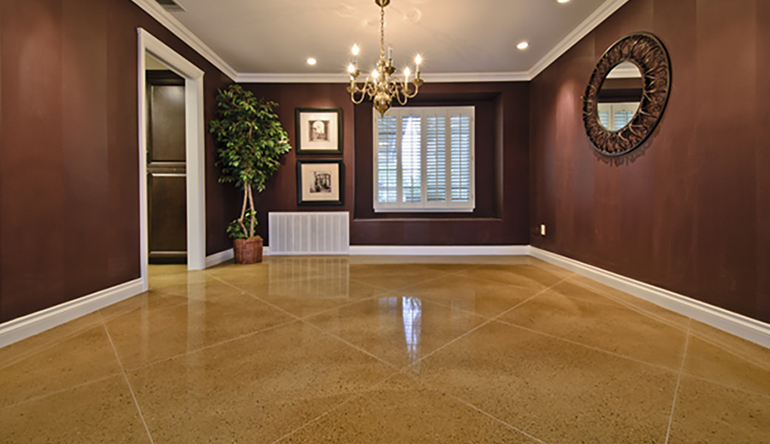 Concrete Polishing Studio City California | ACI Flooring Inc.
Polished concrete has become very popular in the last five years, especially in the city of Studio City. The assumption is that concrete needs to be covered with tile, laminate or coating. No one considers the concrete substrate itself as a finished floor. Polishing of terrazzo, natural stone, granite and marble is a great alternative. 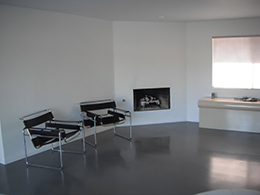 The polished concrete floors that we do in the city of Studio City are low in maintenance, durable and easy to clean. Many large clothing stores, Home Depot, Lowes, Walmart and super centers are polishing their existing substrate because of good abrasion resistance, mar resistance and scratch resistance. 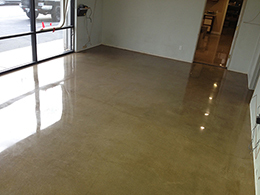 Polished concrete has a high coefficient with friction which makes it non-slippery. It also reduces dust mites and allergenic problems in addition to slowing and eliminating any mold growth which usually occurs under floor coverings. If you live in Studio City and would like us to give you a quick estimate over the phone, please call 1-888-287-0524.